We inform. We educate. We regulate. A future with ASIC means that you will work alongside those at the forefront of regulatory practice ensuring that Australians have trust and confidence in the financial system. We'll value what you bring. We value those who have sharp analytical minds and are open to challenging the way things are done. Our opportunities cover all career stages from entry to leadership level. You may be conducting surveillance to ensure compliance with the law, including onsite visits as well as desk-based reviews of material. You could be conducting real-time market surveillance or providing predictive insights and/or high level analysis of the ASX and Chi-X markets, working with stakeholders to provide guidance or making recommendations for remedial action to ensure compliance. You could be planning and running an investigation, collecting and analysing evidence, seeking the opinions of finance and forensic experts, interviewing a person of interest, or preparing court documents and liaising with counsel. For ASIC to achieve regulatory outcomes, you will liaise regularly with teams within ASIC who deal with our external stakeholders including financial advisers, companies, banks, investment managers and market participants. As a lawyer in our Chief Legal Office, you may be involved in high-profile criminal and civil matters. 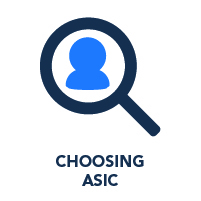 You could advise on complex or novel regulatory matters and be part of major cases ASIC is conducting. 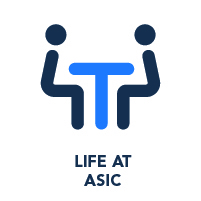 You will work closely with ASIC's stakeholder, strategy and registry teams. You may also advise the Commission and others on law reform, major contracts and give opinions on legal rights and responsibilities. You could also be drafting or settling class orders. 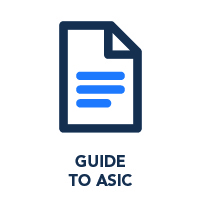 ASIC's Strategy Group, which is central to ASIC's strategic direction and policy setting, comprises three core teams: international strategy, strategic intelligence and strategic policy. In the international strategy team, you may find yourself building bilateral relationships with international regulators or reporting to the Commission on international developments. In the strategic intelligence team, you may find yourself applying behavioural economics to improve consumer or market outcomes or applying data analytics to identify and understand emerging trends and risks. In the strategic policy area, you may find yourself implementing important law reform initiatives such as those recommended by the Financial System Inquiry, including the introduction of product intervention powers. Your work in this area focuses on the regulation of the consumer banking, credit, insurance and electronic payment industries. Our surveillance, project and policy work improves outcomes for consumers who hold bank accounts, payment, credit or insurance products, and has the ability to impact on nearly every person in Australia. We also actively engage with industry stakeholders to understand and facilitate innovation in consumer financial services. We carry out significant regulatory and policy work in Indigenous consumer protection, including responding to financial services issues impacting Indigenous consumers. Our focus includes encouraging structural and behavioural change in the market, and seeking to prevent or limit unfair operators and practices. ASIC's MoneySmart financial capability program also provides materials and programs for Indigenous consumers. ASIC also has a Reconciliation Action Plan, which includes internal targets to increase Indigenous employment, cultural sensitivity and awareness. Integral to the work undertaken by the specialist and enforcement teams, you could be assessing reports of misconduct, statutory reports from liquidators, administrators and receivers, as well as breach reports from licensees and auditors, and licensing and registration applications by ASIC's regulated population. You may be assessing complaints and reports of misconduct relating to insider trading, continuous disclosure and market manipulation for consideration of enforcement action, critical to ASIC's work in maintaining market integrity. Along with a range of activities focussing on consumers, you could also be involved in small business compliance and deterrence. Activities include investigating alleged misconduct and failure to meet statutory requirements in licensing and registration by licensees, companies, other entities, directors and company officers. The regulation of financial advisers and the financial advice industry is crucial for ensuring that Australians have trust and confidence in the financial system. You could conduct compliance surveillances on licensees or advisers, monitor the outcomes of regulatory actions, liaise with industry stakeholders or undertake proactive project work relating to financial advice and regulatory policy. Your day could involve regulating corporate finance transactions in Australia's equity capital markets. This may include discharging ASIC's discretionary powers and responsibilities under the Corporations Act to ensure fair behaviour by companies in fundraisings, mergers, acquisitions, and other key transactions. What we do promotes confident and informed participation by investors and others in the market. We focus on appropriate disclosure, to empower informed decision making, and on ensuring that transactions are structured and promoted in accordance with the Corporations Act. We are embarking on major technology projects that will transform our business and continue our significant technology transformation in a number of areas such as virtualisation, mobility and cloud. We make use of the latest technology with an increasing focus on data sharing and analytics which will make ASIC a 'best in class' regulator supporting the Australian financial markets. This important work is all about motivating and empowering Australian consumers and investors to make informed financial decisions and manage their money. 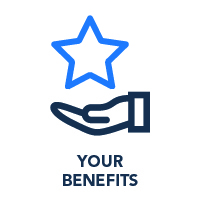 You may be involved in working with stakeholders to promote financial capability in the broader Australian community, supporting financial capability programs in schools, or enhancing ASIC's MoneySmart website, its tools, apps and calculators, publications and campaigns. This team provides efficient and accessible registry services, making it easier to do business in Australia. We also make available a wealth of public information about companies, businesses and professionals. You may be providing front line customer services relating to registration, lodgements, or searching. Or you might be working behind the scenes to keep our high volume business running by engaging with stakeholders, working on registry policy or compliance, or improving and changing our services and technology through projects. Our support functions contribute to ASIC performing at our best. These teams include finance, corporate services, human resources, corporate affairs, audit, risk and security. To inform, educate and regulate, we seek a broad range of disciplines including accounting and finance, audit, economics, legal studies, information technology, policy development and strategy, risk management, data analysis, compliance, project management, human resources and operational management.